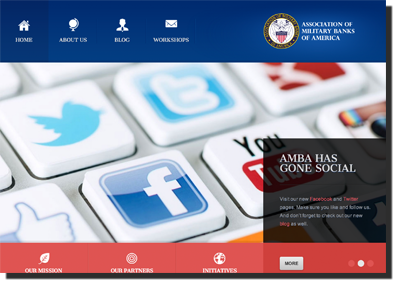 Congratulations to the Association of Military Banks of America (AMBA) on the successful launch of their new website! AMBA recently upgraded to a new responsive web site with a full content management system, great new look, blogging and social networking features. 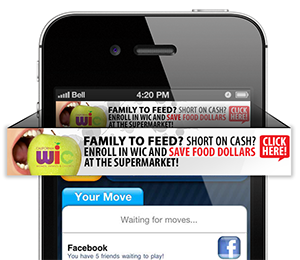 In app ad banners are my primary method of app monetization. I've limited myself mostly to Apple's iAD, and Google's AdMob. I have dabbled a bit with TapIt, but found the eCPM to be really disappointing. The eCPM is a metric that tells you how much you earn for every 1000 ad impressions on your apps. When I initially hooked my apps up with these networks in October 2012, iAd was by the far the highest earner, far surpassing AdMob's eCPM. So I structured my iOS apps to request iAd impressions, with an automated fail-over to AdMob impressions when iAd failed to give me an ad. This format worked like a charm until AdMob unexpectedly surpassed the eCPM of iAd. iAd's rates had decreased and AdMob's had increased. Overall I was seeing higher payouts, so I stuck with the existing iAd to AdMob fail-over model. Part of this reasoning was a blind faith that over time iAd would reestablish it's higher eCPM. This hasn't happened. After some nice spikes in May from iAd, the rate has dropped to a really unsustainable level. I'm talking around $.30 per 1000 impressions vs. $.80+ from AdMob. After taking losses for the first week of June, I altered my top earning iOS app (DC Metro and Bus) to using AdMob's ad engine exclusively. 1) Because it's paying out considerably higher rates, and 2)AdMob's 'Mediation' functionality allows me to rank other ad networks (including iAd) with an eCPM value. AdMob will serve me up ads from the ad network that I think is paying highest. This setting is configurable on the fly and allows me to react to changing rates on the fly rather than with a slow app update into the market.